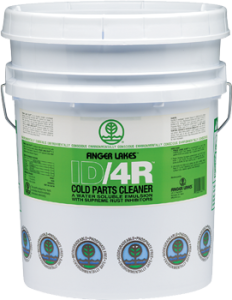 Finger Lakes ID/4R™ has been formulated as an outstanding cold parts cleaner, with an extraordinary rust inhibitor. 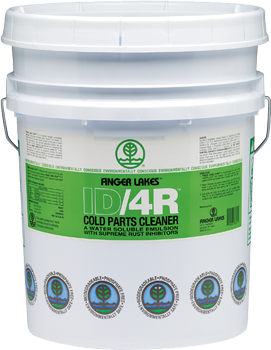 EPA approved Alpha Terpineol bases are the key ingredients used in Finger Lakes ID/4R™ formulation. 1. ID/4R™ can be used 50:50, 2 to 1 or 3 to 1.